The water hydraulic variable ballast system (WHVBS), which is used to adjust buoyancy, pitch angle and underwater hovering, has become more and more popular in submersible vehicles. Water hydraulic piston pump with driving parts lubricated by oil (WHPLO) is one of the key components of WHVBS. Since the lubricating oil is enclosed in a sealed chamber without circulation, its temperature rises sharply during the operation process of the pump. The high oil temperature is detrimental to pump. However, there are few literatures on the thermodynamic analysis of this kind of pump. 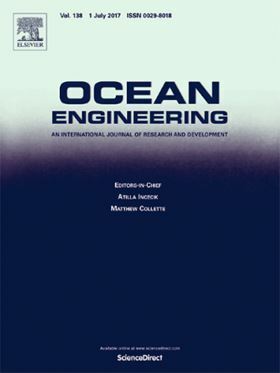 In this paper, an integrated thermodynamic model of the WHPLO has been proposed to predict the change of oil temperature. Based on the model, the oil temperature-time curve has been obtained, and the distribution of heat production and dissipation has also been analyzed. The equilibrium oil temperature of the WHPLO in simulation and experiment under different operating conditions has been conducted. The results showed that the difference of the equilibrium oil temperature of WHPLO between the simulation result and the experimental result is less than 3°C. Therefore, the model is effective to predict the oil temperature of WHPLO. A neural network model was established to predict the sound quality of axial piston pumps.